We’ve written a lot about how hosting is important for eCommerce sites, including some recommended plans for new eCommerce sites. 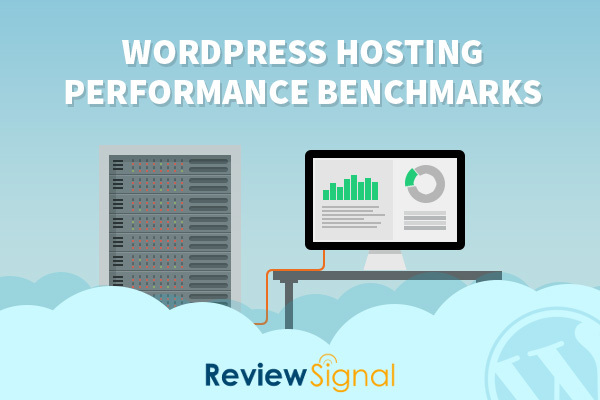 While features are important, performance should also be an integral part of your WordPress hosting selection. A 1 second delay in page load times can decrease conversions by 7% (Source). Both the performance and the features you’ll get from hosting should be important to you when choosing your webhost. This week brought the annual publishing of a couple of truly great WordPress hosting reviews that we’d like to share. The first of these reviews is from Kevin Ohashi at Review Signal. Kevin just published his performance benchmark comparison for this year, which performance-tests several major hosts. This is the most comprehensive testing I’ve seen done across several different hosting providers. He’s also got an overview chart with features and pricing for the hosted that were tested. These resources are absolutely worth the read if you’re looking for a new hosting provider. In terms of performance, some of the top hosts were Kinsta, Media Temple, Pantheon, Pagely, and GoDaddy. SiteGround encountered a few issues, and WP Engine was in the middle of the pack in terms of performance. The lower performers included BlueHost, DreamPress, and CloudWays. The other detailed hosting summary that’s done annually is the WP Shout hosting survey (covered here by WP Tavern). This survey includes anonymous user reviews for several hosts, so it’s feedback-based rather than based on peformance testing. Some of the top hosts here were Kinsta, SiteGround, and WP Engine, while BlueHost, DreamHost, and GoDaddy were towards the bottom. Another great source for hosting information is HostingReviews.io. This gathers customer reviews via Twitter by keeping an eye on keywords in tweets and ranking hosts based on the positive vs negative tweet ratio. Some of their top hosts include Kinsta, SiteGround, and WP Engine. I like to use the Review Signal benchmarks to gauge performance, while I look at WP Shout and HostingReviews.io for some qualitative feedback from customers. This can help to give you a rounded view of not only performance, but of service and customer happiness as well. It’s really difficult to get a full view of what a hosting company can do unless you’ve been with them for some time (which is another reason I only recommend a couple of hosts myself), so using multiple sources of information like this helps to give a rounded view of what the experience with a particular host will be like. Despite solid performance from some larger hosts, the customer service reviews via social media or surveys may indicate that you don’t want to host your site there. In a nutshell, I don’t think you should rely on one source of content to make your hosting decisions. Read several types of WordPress hosting reviews to get a feel for performance, features, and service. So first thing first: Why does it seem like we ignore some hosting services like FlyWheel and Pagely at Sell with WP? Because we sort of do. This is not because of their service or performance. Let me be perfectly clear about that. It’s because we want the hosts that we recommend to have some features we think are vital for eCommerce sites. For example, Pagely’s performance is top-notch and their team provides excellent support. However, some features, such as staging sites, aren’t available until you get to a $400 per month VPS hosting plan. If you’re already at the point where you could be spending this, then your options for hosting obviously open up tremendously. If this is something you can afford, I’d make sure that you look at Pagely in addition to our recommendations. You may also want to look at options that are more developer-friendly, such as hosting your own site on Amazon AWS, as chances are you have a developer on staff or on retainer at this level. You may not need staging sites when your developer can spin up a testing site using something like MigrateDB Pro rather than using one-click staging (though I think I’ll always prefer easy staging setup myself). With that being said, there are some features I think are important for almost all eCommerce sites, and I try to recommend hosting that includes these features at a lower price point so that they’re more relevant to all stores. First, the ability to create a staging or development site is integral. If you experience an issue on a personal blog, the worst that typically happens when patching the issues is that the site looks a bit weird (or maybe you get a white screen of death that has to be fixed via FTP). However, your livelihood remains unaffected. This changes entirely when you’re making money off of your site. Any site that’s generating revenue should have a staging environment, as they’re extremely helpful when testing updates, new plugins or themes, and when interacting with tech support. It’s a godsend to me when a WooCommerce site can send access to a staging site that experiences the same issue as a live site. This lets you debug without the fear of losing orders and revenue. Automatic backups are also necessary, and they should be frequent. Since an eCommerce site changes multiple times a day, it’s important that you have frequent snapshots of your site. This is your insurance plan in case something catastrophic happens – you don’t end up losing all of your orders or customers at one time. You can roll back to a snapshot that is no more than 24 hours old and work from there. While I don’t think these are necessarily required, free migrations are very helpful. No matter which host you’re moving to / from, migrations are awful. There are so many things that can go wrong that you’ll always want the help of a developer. This is not something you want to do by yourself; some hosts include migrations, while some will do them for a fee, and others require you to hire a migration service or developer. WP Engine: We have a full review here of their service. WP Engine hasn’t had the sterling reviews that they’ve had in the past, but I continue to have good experiences with them on several high-traffic sites. Security has been a focus, as they proactively disable security vulnerabilities when discovered – they recently did so with a Jetpack vulnerability. Yes, I have read some negative reviews of their service, but also notice that those reviews are pushing another hosting service for referral commissions instead. This isn’t to say that some criticisms aren’t warranted, but seek out several types of reviews to read. I’ll throw my vote in as someone that’s had a continuously positive experience with them since just after they launched. Note that they do not include site migrations, so you’ll need to hire someone if you’re moving an existing site. SiteGround: We have a full review for SiteGround as well. I’ve also had a decent amount of experience with SiteGround, and they’re dependable with great features and service. They host popular sites like Post Status and WPSessions. I recommend the GoGeek plan for eCommerce sites, as it includes our required features and has more resources dedicated to your site than the other SiteGround shared plans. Site migrations are included. Media Temple: I’ve also hosted several sites at Media Temple throughout the years. While they get fairly high performance scores, they seem to lag behind in terms of customer service on most surveys. Most of the sites I host here are ones that don’t require a lot of maintenance on my part, so I don’t interact with support very much. If you want good performance with WordPress features, but will have access to a developer who can help guide you with support, their WordPress plan can be a good fit. I’ve compared it to SiteGround and DreamPress here (note that migrations are $150). Pantheon: Here’s another one that I didn’t realize had our requisite features. There’s not really an introduction plan that will work well, but Pantheon has great scalability and several developer-friendly features. Here’s an overview of their services from Post Status. Have you tried Kinsta or Pantheon? Have experience with any of the hosts we’ve mentioned? We’d love to hear more from you about them. Hey Kevin, you’re welcome and thanks for that resource! Hey, thanks for mentioning HostingReviews.io. ReviewSignal’s testing and WP Shout Survey were both great. Lots of good information for WordPress hosting shoppers lately. I’m surprised to see no mention of Synthesis Web Hosting here. I left WP Engine for them because they were unable to upgrade to anything above PHP v5.3, weren’t able to solve the somewhat frequent 500 series errors, slow DNS resolution times, etc. This difference has been night and day for me. I did eventually receive an email two months later that claimed to all customers / people on their mailing list that the several issues (many of which I’d been experiencing) had supposedly been corrected for good. Did I go back? No. I’m satisfied with Synthesis Web. WP Engine would still require me to stay on ol’ PHP v5.3 (three stable versions behind) and that’s unacceptable to me. Out of curiosity, what issues have you run into using PHP 5.3? Just a memory usage thing? Most themes / plugins are 5.2-compatible since WP is, so I haven’t typically experienced issues with it, but always interesting to hear what other people are doing! Just guessing, but newer versions of PHP (especially 5.5+) have drastically improved performance over older versions. Newer versions would be preferable, just wondering if people have run into issues with plugins, themes, custom code, etc. My experience was similar to what ASO is showing on their blog. Newer versions do better. I’m excited to see php-ng branch become real too, they’ve been doing some big improvements on performance. Great info, thanks! Hosting is such an important decision! I have experience with Pantheon (I work there). OOTB you get three environments. Only the dev environment can receive code changes via SFTP or GIT. It’s free for developers, and all three environments are available. Check it out and send me an email if you have any questions.